Australia & New Zealand Holiday | Guided Tour of Both! The Highlights of Australia and New Zealand Tour is a fabulous tour of the land down under. You can expect exactly what the name of the tour says – all the highlights of these two great countries perfectly packaged into one amazing holiday. When you think of New Zealand, its incredible pooling lakes, geysers and sky-high snow-capped mountains spring to mind. And you’ll be glad to hear that you’ll see them all as part of your New Zealand highlights tour. But that’s only half of the adventure. Australia’s highlights tour includes the raw and rugged outback; the remote city of Alice Springs; the cosmopolitan city of Sydney; the spectacular sights of Uluru; tropical Queensland and of course, the breath-taking Great Barrier Reef. When booking a Highlights of Australia & New Zealand holiday by the 1st July 2019, you will have an opportunity to take advantage of a two night stopover on your inbound journey for an amazing price – only £69 per person (£138 for single occupancy). This offer is available on tours departing after the 1st September 2019 and provides a saving of up to £552 per couple. As an alternative you may also choose Bali for a 3 night homebound stopover on tours departing after 1st Sept 2019. The price of the Bali stopover is also on special offer if booked by 1st July, at the reduced rate of £249 per person in a double and £498 if taking a room for single occupancy. Deciding between a holiday to Australia and a holiday to New Zealand is a difficult choice. So why not just do both? At Distant Journeys, we’ve taken all of Australia’s highlights, and all the highlights of New Zealand, and put them together to create the Highlights of Australia and New Zealand tour. You can look forward to seeing New Zealand’s sparkling lakes, gushing geysers and snow-capped mountains. Not to mention Australia’s spectacular outback, tropical Queensland and the Great Barrier Reef, and cosmopolitan cities such as Sydney. And throughout each and every highlight, you’ll be guided by your experienced Distant Journeys Coach Captains and Tour Manager. This comes as standard on all of our Australia and New Zealand tours from the UK. Please note, the itinerary below refers to our 2019/2020 departures. Please click here or the departures tab for departure dates and itineraries for 2018/19. Days 2-4 of this itinerary have been based on your stopover being in Singapore. 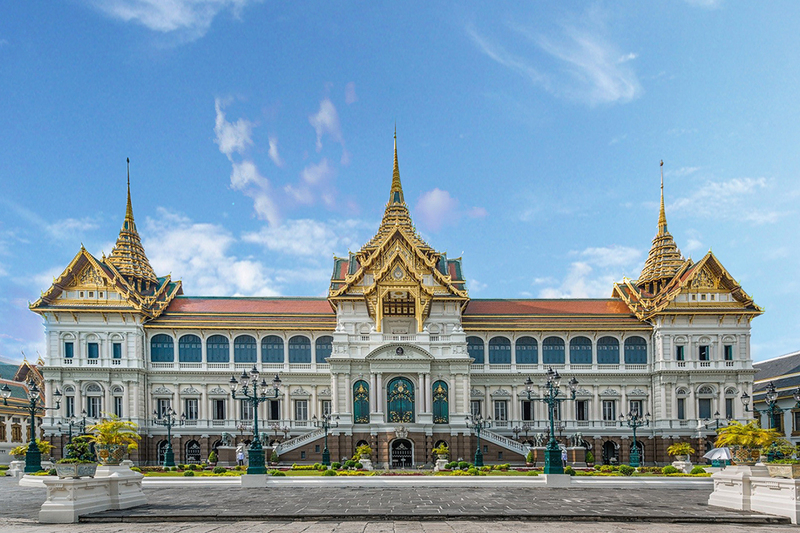 However we also offer the choice of a stopover in either Bangkok or Dubai for the same price (flight timings vary). Included in the price of your stopover are transfers to and from the airport, hotel accommodation, daily breakfast and a sightseeing tour of your chosen city. For more details, talk to one of our personal travel experts, who will be happy to help. Known as ‘the crossroads of Asia’, Singapore is a city where east meets west; a cosmopolitan melting pot with an inspirational identity. This morning enjoy a tour of this wonderful city. 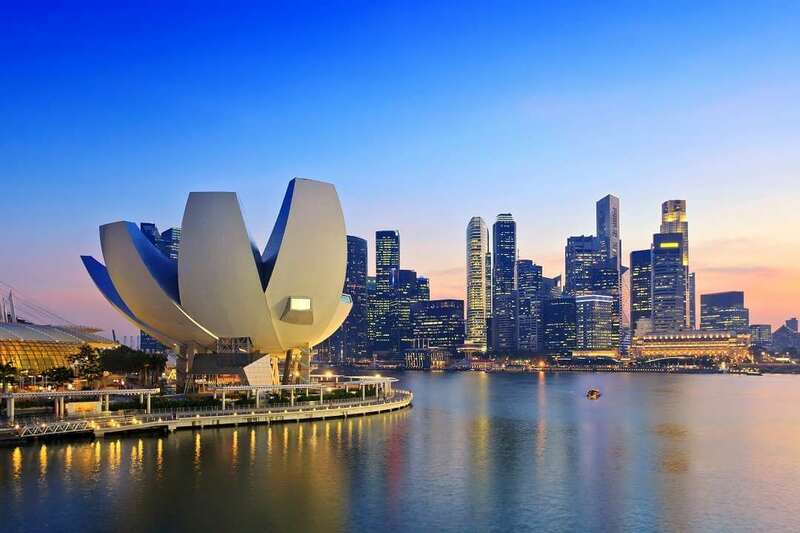 Included is a stop at Merlion Park with impressive views of Marina Bay. 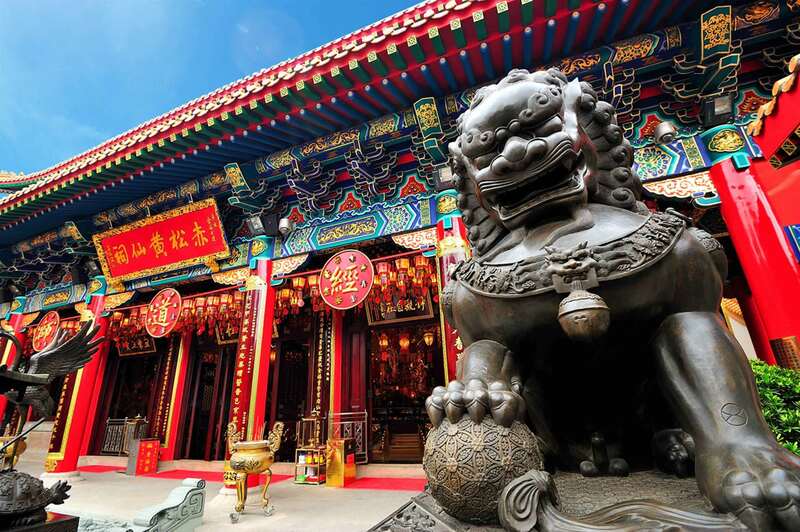 See the historic Civic District, Thian Hock Keng Temple and the fabulous orchid gardens set within Singapore’s botanical gardens. Return to the hotel where the rest of our day is free to spend as we please. A day at leisure in Singapore until it’s time to leave for our evening ﬂight to Auckland. Perhaps explore the impressive Gardens by the Bay or enjoy high tea at Raﬄes. We change aircraft in Australia. On arrival into Auckland we meet our local Coach Captain, who will be our driver and guide during our time in New Zealand. 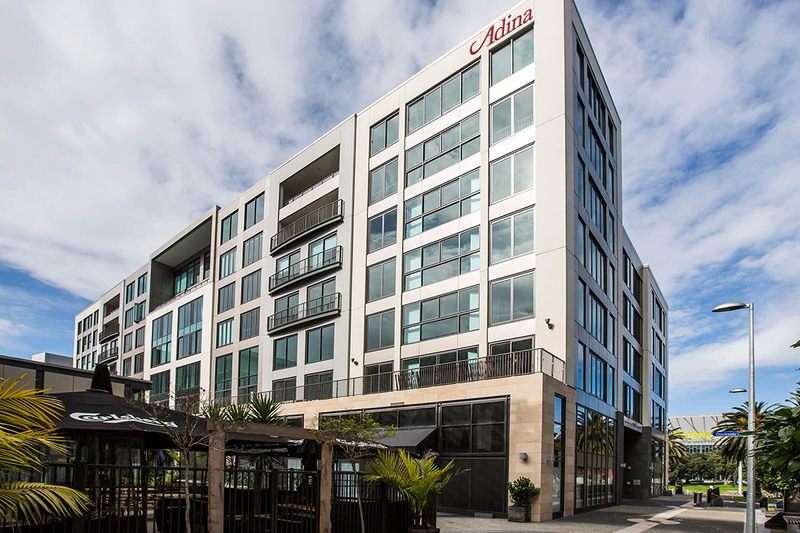 Transfer to the Adina Apartment Hotel, Auckland, where we spend our ﬁrst two nights in New Zealand. This morning, we will take an orientation tour of the city. Known as the ‘City of Sails’, Auckland is New Zealand’s most populous city, with a beautiful waterside setting and a landscape dotted with volcanic hills. We drive along the beautiful coastline of the famous Waitemata Harbour. In the distance see Rangitoto Island, an extinct volcano, dominating the horizon. We continue to the stylish Viaduct Harbour, host to many America’s Cup celebrations. Your afternoon is free to enjoy as you please. Perhaps take a trip to the top of Sky Tower; the panoramic views from the tallest building in the southern hemisphere are truly breath-taking. Departing Auckland this morning we travel to the world-famous thermal region of Rotorua. 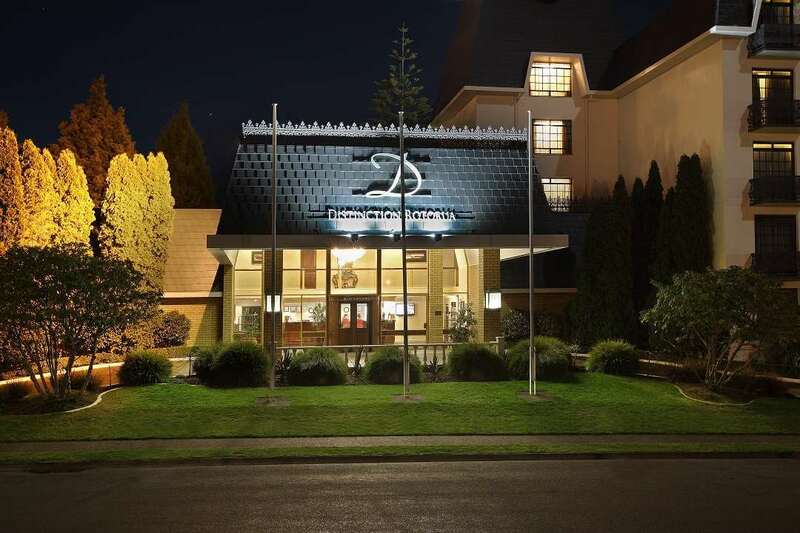 The next two nights are spent at the four star Distinction Hotel Rotorua, superbly situated close to the Whakarewarewa Thermal Reserve. Later in the day we enjoy a welcome drink to become better acquainted with our fellow travelling companions. Sightseeing this morning takes us to Te Puia, home to the Whakarewarewa Thermal Reserve, with its spurting geysers and boiling mud pools. Later we visit the Maori Arts and Crafts institute. In the early 1920’s traditional Maori art such as weaving and carving were in danger of extinction. Established in 1926 to protect and preserve this unique art form, today the institute provides a vital role in the teaching of these skills to the next generations. Your afternoon is at leisure to relax. For those that so wish, optional activities include a ﬂoat plane ﬂight over Mount Tarawera, or perhaps an afternoon enjoying the healing properties of the thermal pools at the Polynesian Spa may be more appealing? Rotorua is the heart of New Zealand’s rich Maori culture and this evening, at our hotel, we attend a concert featuring traditional song and dance, including the world famous war dance – The Haka. Also included is a Hangi buﬀet dinner, cooked using traditional Maori methods. After breakfast, we head to Auckland Airport in plenty of time for our ﬂight to Christchurch. Considered the most English of New Zealand’s cities, today in the aftermath of the 2011 earthquake, Christchurch is in the midst of an epic rebuild that has completely reconstructed the city centre. We view the key landmarks of the city centre, including the transitional ‘Cardboard Cathedral’ and the Botanic Gardens. 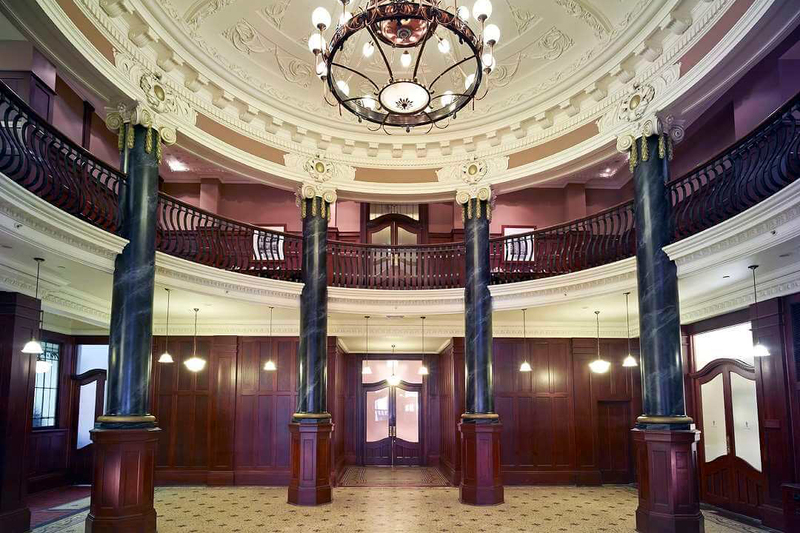 We stay overnight at the Distinction Hotel Christchurch, ideally located in the heart of the city. Today we embark on one of the most stunning drives in New Zealand. Travel through the Canterbury Plains, heading towards the imposing Southern Alps and across Arthur’s Pass. We make the spectacular descent down the western side of the Southern Alps, towards the rocky beaches of the untamed west coast. Our route takes us along striking wild scree-scarred terrain with forests of Crimson Rata and Kahikatea. Pass Lakes Ianthe and Mapourika before entering the Westland National Park. Our next two nights are at the Scenic Franz Josef Hotel. The Westland National Park has some of the most spectacular scenery in New Zealand and this morning we drive to the Franz Josef Glacier terminal where we will have the opportunity to walk towards the glacier. Weather permitting, we may also take an optional scenic ﬂight (at an additional cost) over the awe-inspiring Alpine region. This afternoon is at your leisure to enjoy. Witness incredible scenery today as we travel through Mount Aspiring National Park, and across the Haast River Bridge on one of the most exciting scenic roads ever built. We journey along the shores of Lakes Hawea and Wanaka as we enter New Zealand’s Central Otago region. 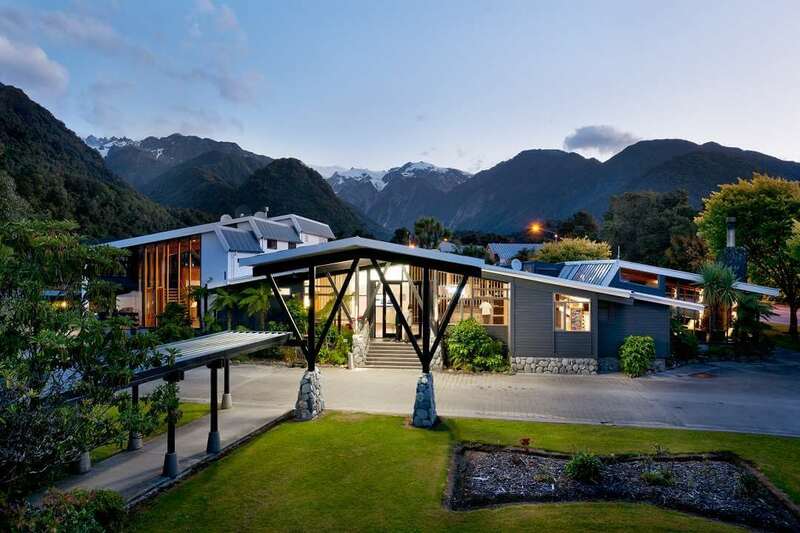 Later in the afternoon we arrive at the four star Millennium Hotel in the stunning alpine resort of Queenstown, which will be home for the next three nights. Our day is free to take advantage of the incredible variety of activities available in and around New Zealand’s most glamorous alpine resort. Maybe go horse riding or take a four wheel drive safari over old mining tracks. Thrill-seekers amongst us may wish to try the Shotover Jet – an exhilarating boat ride amongst the crags and boulders of the Shotover River canyon. Wine-lovers may wish to follow Queenstown’s wine trail – an enjoyable afternoon of wine tasting and sightseeing. Today we travel to the magniﬁcent Fiordland National Park and to Milford Sound, which will undoubtedly prove to be one of your tour highlights. The scenic drive takes us through a variety of landscapes – farmland, native tussock grasslands, lush beech forests and impressive glacial valleys – before arriving at Milford Sound to begin our cruise. Only when out cruising on Milford Sound can the sheer scale of the dramatic scenery be fully appreciated: towering peaks rise all around and spectacular waterfalls cascade into the calm waters below. Our cruise takes in the impressive Mitre Peak and Bowen Falls. Remember to keep a look out for dolphins as well as seals and penguins. This morning we take a tour to visit the nearby historic mining town of Arrowtown. The heart of its history is Buckingham Street, a procession of small town heritage buildings that stretch into a tree-lined avenue of tiny miners’ cottages. Be sure to try a cream tea in one of the quaint tea rooms. It’s time now to leave New Zealand. We head for Queenstown Airport for our ﬂight to Melbourne, Australia. 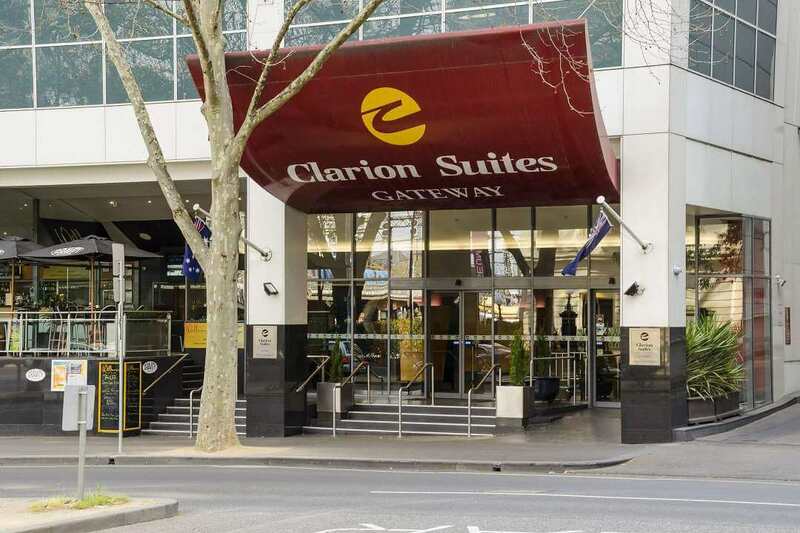 Upon arrival, we meet our Australian Tour Manager and make our way to the centrally located four star Clarion Suites for the next three nights. On our first day in Melbourne, we take in the city’s most notable sights with a sightseeing tour. Along the way, we will visit Captain Cook’s Cottage (with entry possible at own expense), the Melbourne Cricket Ground, the Victoria Markets, Federation Square and the Rod Laver Area. As well as taking in the sights of the city centre, we also head out to St Kilda and Port Melbourne to discover these pretty waterside suburbs. In the afternoon, we travel to the nearby Phillip Island, where you can see the Penguin Parade, the world’s largest colony of adorable Little Penguins. This is our first Freedom Day in Australia where we can spend the day in Melbourne as we wish. We will also be offering the opportunity to embark on two optional excursions, the first being a full day tour of the Great Ocean Road, one of the world’s most spectacular coastal roads. Leaving from Torquay, home of surfers’ paradise Bells Beach, this tour takes us along mile after mile of breath-taking coastline to our end destination, the Twelve Apostles. Another option is to travel through the Blue Dandenong Ranges aboard the Puffing Billy steam train, a truly memorable experience. In the evening, we can also arrange an optional dinner with a difference on a historic tramcar. This morning we return to the airport in time for our ﬂight to Cairns where the afternoon is free to become acquainted with tropical Queensland. 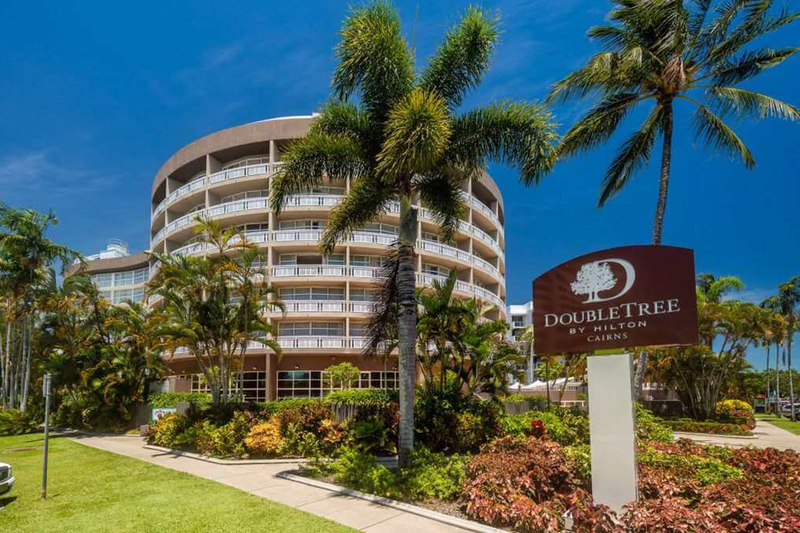 Centrally located in the heart of Cairns, our hotel for the next four nights is the four star DoubleTree by Hilton. Today is another of our Freedom Days, though there is also the option to join us on an optional trip to Kuranda, a village in the heart of the rainforest, where we’ll take in the local wildlife, indigenous culture and wonderful scenery. This tour begins with a traditional performance of dance, music and storytelling from the Tjapukai people, a great way to begin the day before we travel to Kuranda. We travel to Kuranda via the Skyrail Rainforest Cableway, which takes us way above the canopy, gliding over the endless stretch of rainforest. Once we arrive in the village, there are plenty of things to see and do, from the local markets to the butterfly sanctuary and Koala Gardens. Our journey back to Cairns will then be aboard the Kuranda Scenic Railway, crossing over 40 bridges and passing through 15 tunnels. There is also a unique section of track where it clings to the rockface along a narrow coastal strip: just one part of a railway journey to remember. Another day to spend either in Cairns exploring the many galleries and museums, on the nearby coastline or out in the surrounding rainforest. Today we are offering an optional day trip to another of tropical northern Queensland’s rainforests, the Daintree Rainforest. This World Heritage Site is the oldest rainforest in the world, with our tour taking in fabulous scenery as well as getting up close to the local flora and fauna. You’ll be able to enjoy a walk through the rainforest with an expert Aboriginal guide, as well as take a cruise where you will be able to spot saltwater crocodiles. This morning we make our way back to Cairns Airport in time for our ﬂight to Uluru. Rising from the ﬂat surrounding scrubland, Uluru is a site of deep cultural signiﬁcance to the Aboriginal communities of the Northern Territory. It is the icon of Australia’s outback, and is also the world’s largest monolith. This afternoon we take a gentle stroll around certain areas of the rock to learn more about its historical and cultural importance. Later, we have the opportunity to witness the changing colours with a glass of sparkling wine, as the sun begins to set. It’s truly a photographer’s delight. Overnight at the four star Desert Gardens Hotel. For early risers, a dawn visit to the rock has been arranged. Seeing Uluru at sunrise, from a diﬀerent vantage point and in a diﬀerent light, oﬀers a totally new perspective on the ever changing colours and character of the rock. We return to the hotel in time for breakfast. Afterwards, we visit the impressive series of rounded sandstone domes known as the Olgas. Leaving Uluru, we head east through amazing outback landscapes as we journey along the scenic Lasseter and Stuart Highways and make our way to Alice Springs in the Northern Territory and Australia’s Red Centre. 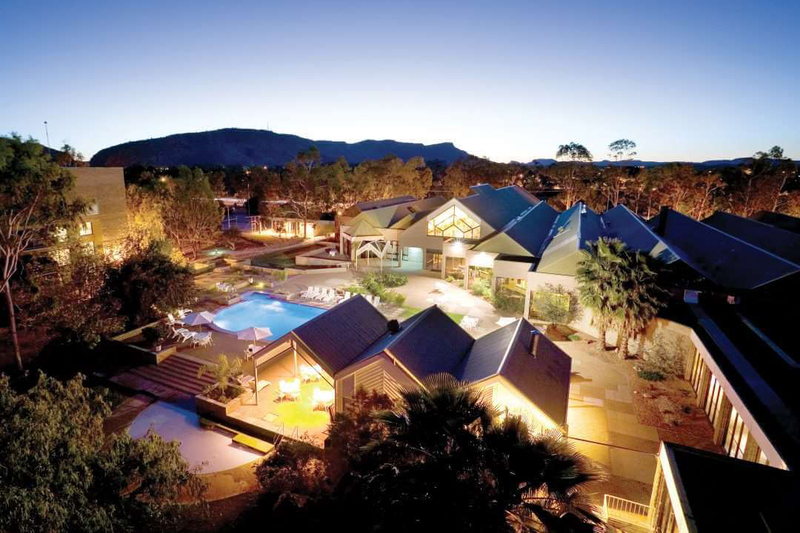 Upon arrival, enjoy a sightseeing tour of the outback’s largest town. Alice Springs was originally established in the 1870’s as a staging post for the overland telegraph line between Darwin and Adelaide. During our sightseeing tour we relive a bygone era at the Old Telegraph Station historic reserve, which faithfully recreates the settlement’s earliest years. Also included is the remarkable Royal Flying Doctor Service and the School of the Air. 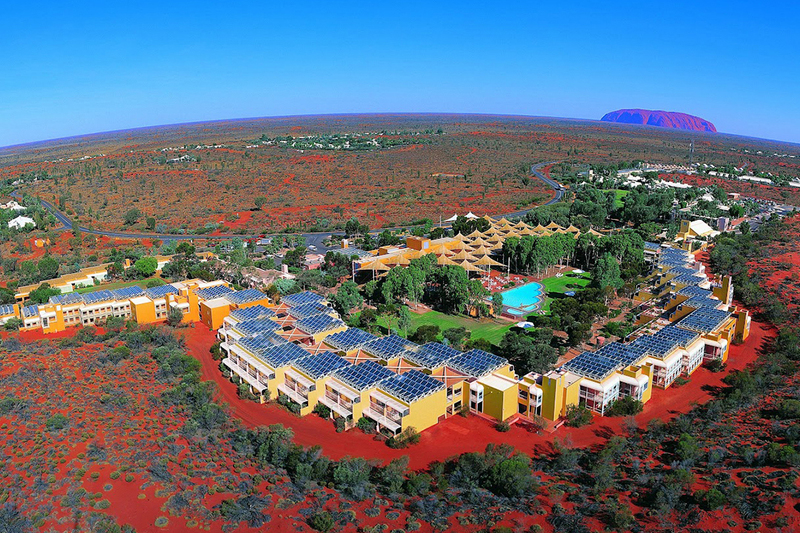 These unique institutions provide real insight into life in the vast Australian outback. 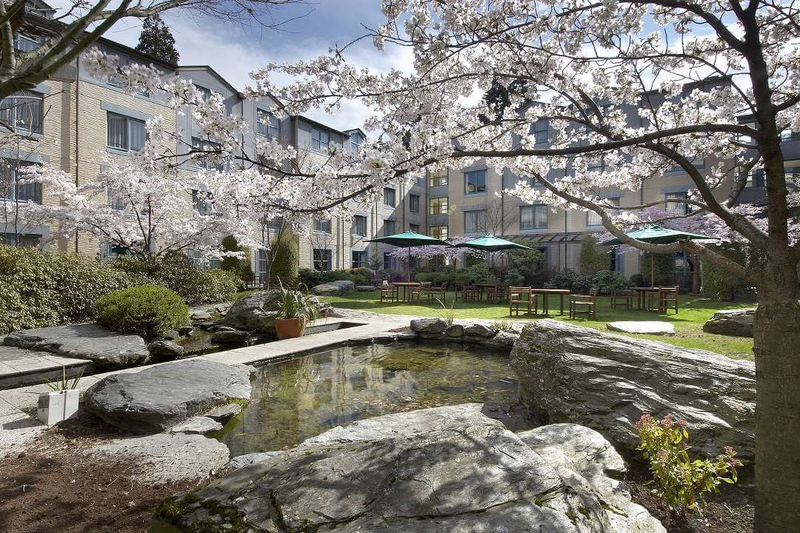 Later in the afternoon we arrive at our hotel, the four star DoubleTree by Hilton. Our day is free to relax in the outback town of ‘Alice’. You may wish to take an optional hot air balloon ride over the ﬁery red earth. Alternatively a visit to the Western MacDonnell Ranges is an excellent opportunity to get a real picture of life in the outback. The full day excursion takes us through the wondrous and picturesque scenery of Simpson’s Gap and the towering granite walls of Standley Chasm. We have a leisurely start to the day as later this morning we must say a fond farewell to the Red Centre as we board our ﬂight to Sydney. After arriving in Sydney we transfer to our home for the next three nights, the four-star North Sydney Harbourview Hotel, which enjoys an excellent position overlooking the magnificent Sydney Harbour. 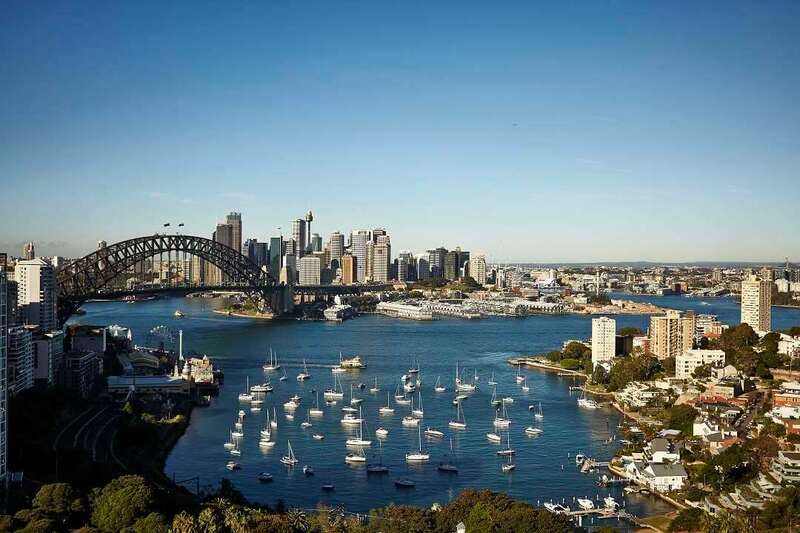 This sparkling harbour is also home to two of the city’s most famous landmarks, the Sydney Harbour Bridge and the Sydney Opera House. 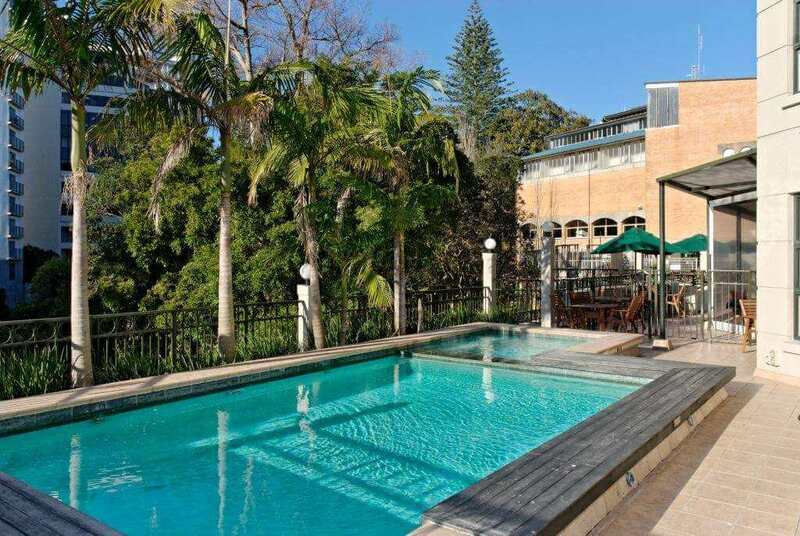 You will also be well-placed to explore the rest of Sydney as you wish, whether you choose to visit the variety of shops and acclaimed restaurants in the city centre or the beautiful suburbs leading to lush bushland and perfect sandy beaches. Today we embark on a sightseeing tour of the city, taking in several of Sydney’s most iconic landmarks. The tour begins with a drive through some of Sydney’s prettiest inner-city suburbs before we reach the world-famous Bondi Beach. From here we head back into the city, via Hyde Park and Parliament House to the Royal Botanical Gardens, home to Mrs Macquarie’s Chair. Hand-carved by convicts in 1810 as a gift for Mrs Macquarie, the wife of an influential governor, this sandstone bench offers superb photo opportunities of the Opera House and Harbour Bridge. We will also get to see these two iconic sights from the water with a relaxed luncheon cruise around Sydney Harbour: the perfect way to end our tour of the city. After the tour, the rest of the day is free to enjoy Sydney as you please. Our first full Freedom Day in Sydney leaves you to enjoy the city as you please. If you wish, you can join us on an optional trip to the Blue Mountains, a National Park and UNESCO World Heritage Site. This National Park offers a landscape of iconic Australian bushland covered with eucalyptus trees, with towering peaks and deep gorges also punctuating the landscape. During our trip we will visit a series of lookouts to take in the dazzling panoramas, including Echo Point, where you can see the unique rock formation of the Three Sisters. We will also visit the village of Leura, home to a lively local arts scene and numerous garden festivals, as well as the stunning Wentworth Falls. Our last morning in Sydney is yours to spend as you like until it’s time for our afternoon transfer to the airport. All flights back to the UK operate via Dubai, where there will be a change of aircraft. There’s no need to end the adventure just yet as we also have a wonderful offer on homebound stopovers in a number of exciting Asian cities, costing just £69 per person when sharing or £138 for single occupancy. Choose from a stopover in either Bangkok, Dubai, Hong Kong or Singapore, with return transfer flights, two nights in a four or five-star hotel and full daily breakfast all included. Take a look at our departure dates and prices for full details, but you must book by 1st July 2019 to take advantage of this exceptional offer, applicable on tours leaving after the 1st August 2019. 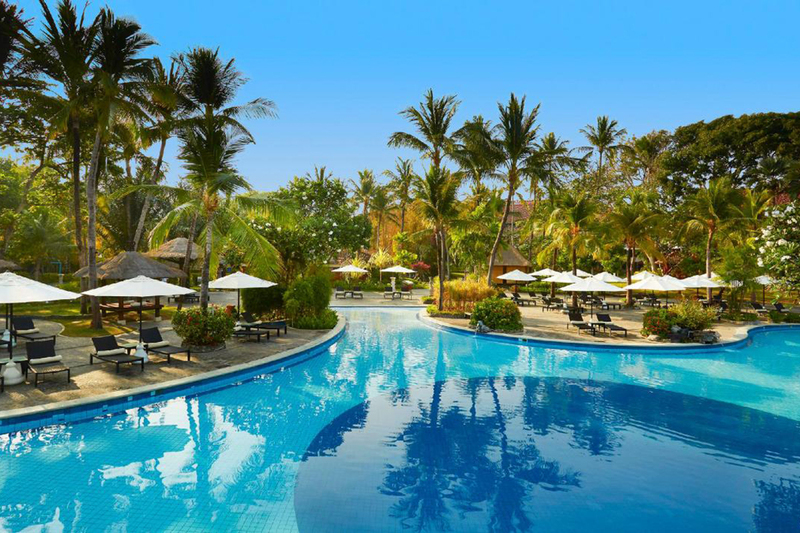 A relaxing three-day retreat on the island of Bali is also possible at an excellent reduced rate of £249 per person (£498 for single occupancy). This also applies only to tours leaving after the 1st August 2019. We arrive into our chosen airport (London Heathrow, Manchester, Birmingham, Newcastle or Glasgow) bringing to an end our incredible adventure. There’s a lot to experience in these two fantastic countries. So you’ll be glad to know that the Highlights of Australia and New Zealand tour already includes so much for its exceptional price. That’s all your scheduled international flights, overseas transfers, perfectly located hotels, daily breakfast, experienced local tour managers and knowledgeable guides, and many amazing excursions. What is more, you will also save up to £552 per couple on a homebound stopover on tours departing after 1st August 2019. Visa: £25 per person. To enter Australia, you need an Electronic Travel Authority (ETA). We will obtain this on your behalf and the cost will be added to your confirmation invoice. 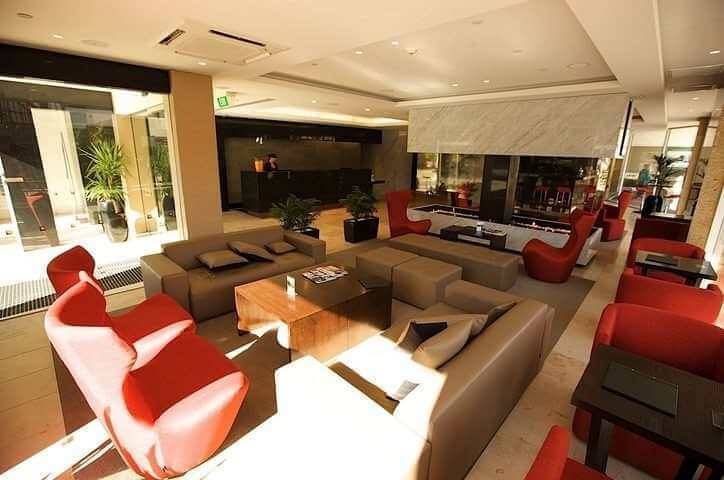 To complement the amazing destinations you’re visiting, we work hard to find the hotels in Australia and New Zealand that are perfectly placed for you to really make the most of your visit. And of course, the accommodation we choose is of fantastic quality too. If you’ve taken advantage of one of our two night stopovers on your journey home from Australia or New Zealand you may want to make the most of your short stay in these exciting destinations by taking an optional excursion or two. Having experienced first-hand the long journeys required to reach the far flung corners of the globe, we appreciate that the more relaxing and manageable the journey, the better. For this reason, we include a two night stopover on the way out to your Highlights of Australia and New Zealand tour. With this, your airport transfers, accommodation on a bed and breakfast basis and even a city tour is included. Even better, where your stopover will be is down to you. Dubai, Bangkok or Singapore – you decide! In addition to your included stopover on the way out, right now we’re offering two-night homebound stopovers for just £69 per person (£138 for single occupancy) on tours departing after 1st August 2019. This amounts to a saving of up to £552 on the normal price. To take advantage of this special offer price, all you need to do is book by 1st July 2019. The offer is subject to availability of flights and accommodation at the time of booking. 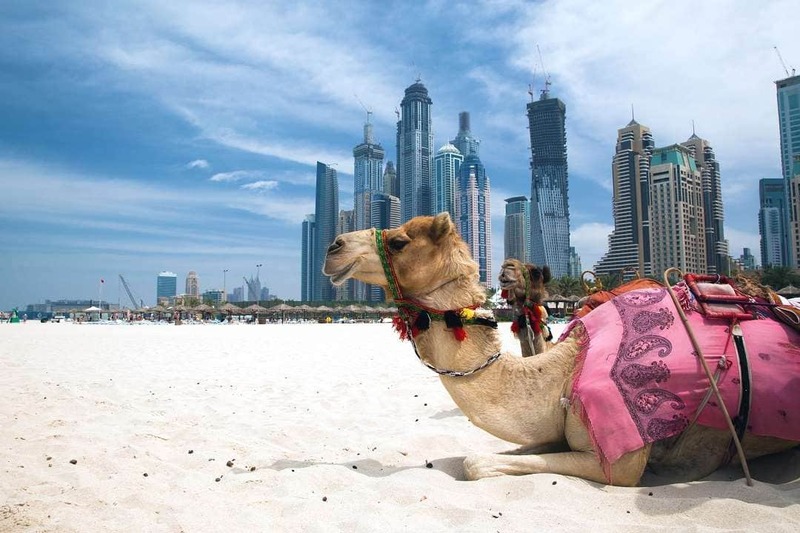 Your special offer homebound stopovers are Hong Kong, Singapore, Bangkok or Dubai. The offer includes return transfers and accommodation for two nights including full breakfast. As an alternative you may also choose Bali for a 3 night homebound stopover on tours departing after 1st August 2019. The price of the Bali stopover is also on special offer if booked by 1st July, at the reduced rate of £249 per person in a double and £498 if taking a room for single occupancy. Customers who have previously travelled on our 29-day Highlights of Australia tour have provided the feedback below. Distant Journeys has asked the independent reviews organisation, Feefo, to independently generate and verify all the customer reviews that follow.